Mojo Jojo is a supervillain in the animated series Powerpuff Girls, which began airing on Cartoon Network in the late 90s. He is a genius mad scientist and is always plotting to take over the world or destroy the Powerpuff Girls. He is the most recurring villain in the series’ appearing in a lot of the show’s episodes. Mojo Jojo has a connection with the series’ protagonists. In the Powerpuff Girls movie, it was revealed that this super villain is Professor Utonium’s assistant chimp Jojo and is the one that caused the accident in the lab, thus creating the Powerpuff girls instead of just regular girls as the professor intended. The accident also gave Jojo superhuman intelligence, thus turning him into Mojo Jojo. 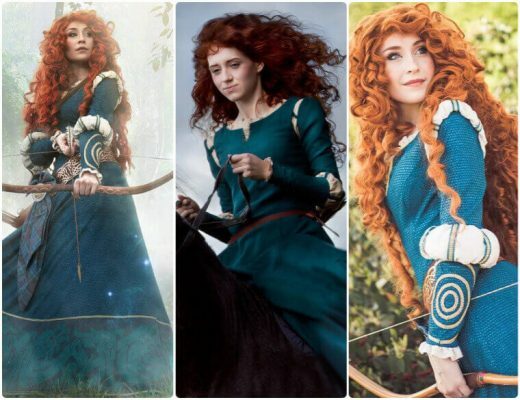 Despite being a villain, this character is the fourth most popular in the series, behind only the girls. 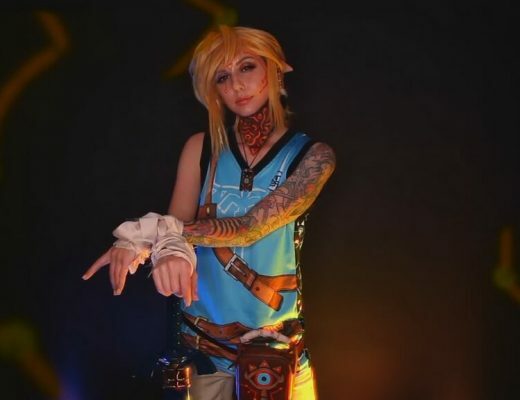 That is why he is also an option when it comes to cosplaying cartoon characters. 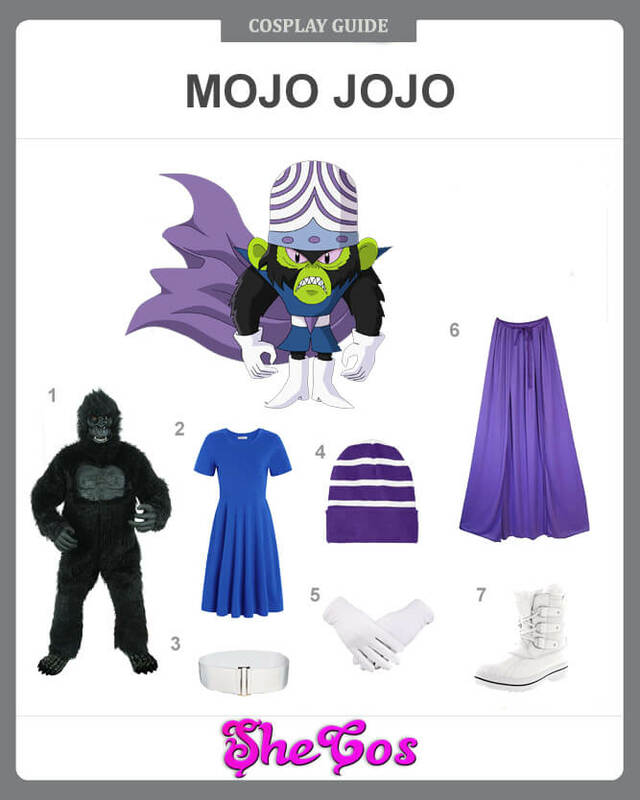 Here it will be a Mojo Jojo cosplay guide. Mojo Jojo is one of the most recurring supervillains in the Powerpuff Girls series. He is also the girls’ most challenging opponent. He had defeated them several times or at least inflicted massive damage on the girls. Despite being a villain, he is a popular character, which is why a lot of people also choose to dress up as Mojo Jojo. 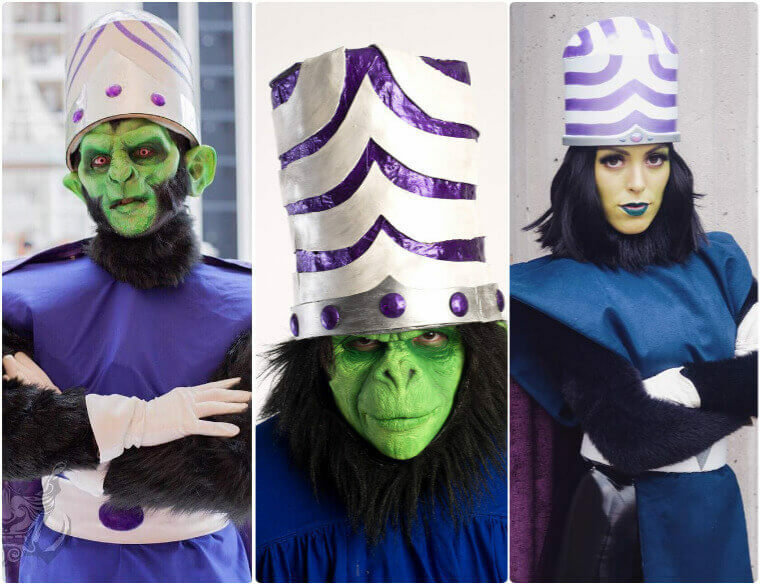 The character only has one iconic look, and it is what this Mojo Jojo cosplay set will feature. The full Mojo Jojo costume would include a gorilla suit, a long blue shirt and a white belt to be placed on the waist on top of the shirt. The set would also come with white gloves, white shoes, and a purple cape. The cosplay set is completed with a striped beanie that will act as Mojo Jojo’s iconic hat. Mojo Jojo wasn’t born as a villain, as he started as Professor Utonium’s chimp assistant. Since he was just a regular chimp at the beginning, he is a bit clumsy and breaks everything in the professor’s lab. His clumsiness caused the creation of the Powerpuff girls as well as him gaining superhuman intelligence and developing emotions. His superhuman intelligence also allows him to identify the weaknesses of the girls and use it to his advantage. The creation of the girls, though, made Professor Utonium ignore Jojo, forcing him to run away. Living in the street by himself, he became cold and emotionless, which created the Mojo Jojo who wanted to destroy Townsville and the Powerpuff girls. This sad story only made people relate to the villain more, thus increasing his popularity. 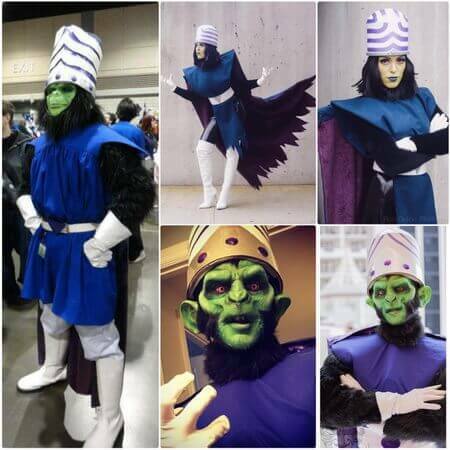 If you look at the Mojo Jojo cosplay photos, you can see that his popularity is not limited to men, as women also choose to dress up like the supervillain.